The perfect replacement backing plate for your Rupes Big Foot Mark II Random Orbital Polishers! The Rupes Backing Plate is the perfect replacement backing plate for your Rupes Big Foot Mark II Random Orbital Polisher. 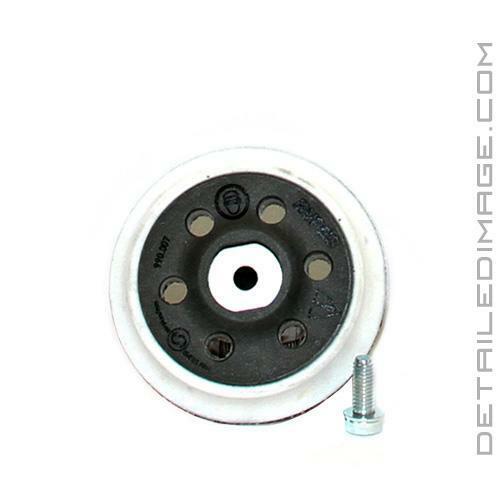 This backing plate is designed specifically for this polisher and if it ever breaks you can pick up a replacement backing plate instead of purchasing a whole new polisher. Check out the various sizes of this backing plate offered and the pad recommendations for each size below! If you are looking for the perfect backing plate for you Rupes Random Orbital Polisher than look no further then the Rupes Backing Plate! bought to replace the original. works great. super tight velcro backing. I bought Rupes 21 mark ll and switch the backing plates for 2 size pads. It's like having too polishers for one price. Bought this to use on my Griot's Garage BOSS 21. You will need to heavily mod a washer to make it work but it seems to work well!